In the early 1950's, Joe Hardy, Sr. opened his first 84 Lumber lumberyard, selling to home builders in the tri-state region of Ohio, West Virginia, and Pennsylvania. Within a few years, Joe began to grow the company, expanding beyond that tri-state area and opening new stores all across America, while continuing to follow the "no frills" approach that had led the young company to success. Joe teamed with his daughter Maggie, who became president in 1993. Together, Joe and Maggie have developed strategic plans, focusing on serving the professional builder. In 2005, 84 Lumber Company stretched across the United States, with nearly 400 stores nationwide, from California to Florida to Massachusetts, and sales in excess of $2 billion. As 84's reach expanded throughout the U.S. it became apparent that emerging markets overseas also needed access to building materials. In 1998, we supplied building materials to China for the largest wood-framed housing subdivision in the country's history. The development consisted of 36 luxury homes, each over 3,500 sq.ft. In addition to supplying materials for the project 84 took an active role in field and classroom training for everything from framing to the installation of in-wall vacuum systems. 84 employs over 4,200 associates in 150 markets across 30 states. These 257 units include stores, component plants, engineered wood product centers, door shops, and kitchen/bath design centers. Over the past several years as residential building has waned, 84 Lumber has expanded into construction services in both the residential and commercial segments offering turnkey material/labor packages for the installation of framing, roofing, windows, doors, trim, insulation, drywall, cabinets and more. 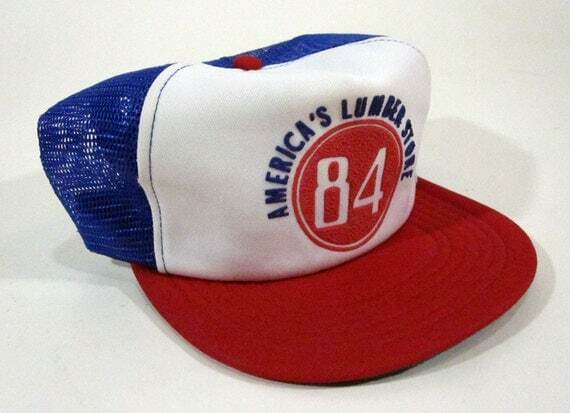 Wonder where 84 got its name? Which came first, the town or the lumber company? Clearly, people find it intriguing as to the relationship between the town of Eighty Four, Pennsylvania, and 84 Lumber Company. In 1956, Joe Hardy named his new lumber company after the town in which it was founded, Eighty Four. OK... but, where did the town get its name? Although no one seems to know for sure, there are a few interesting theories. The village was located 80 degrees and four minutes west longitude. George Washington, while on a surveying trip in 1740, located a saloon at 84 degrees west of the general store. The village was named to commemorate the election of President Grover Cleveland in 1884. The village is located on the 84th tract of land carved out by the Northwest Ordinance. The Eighty Four post office was founded in 1884. Whatever the reason, Joe Hardy loved the name of the rural village and thought it had a good ring to it and took the name for his new lumber business. That "ring" in Joe's ear turned out to be a great marketing tool, as customers easily remembered where the original 84 Lumber lumberyard was located. 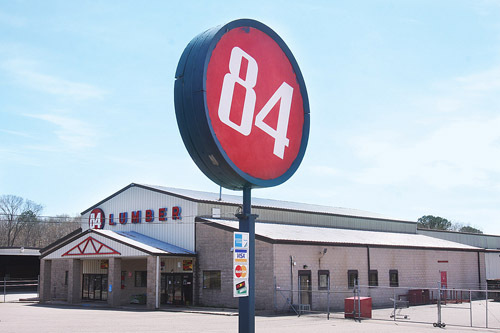 Today, people associate the name of the town with the lumber company; instead of spelling out the name of the town, they often write "84".